It’s hot here in New York! Mid summer August hot! So we’ve decided to hold one hot sale! Hundreds of items that you may have seen in our stores and dreamed of owning are now on sale, 20 to 50% off and available for immediate delivery. Mirrors, mantels, lighting, furniture and more! Just look for the yellow tags on specially reduced items. Each is different and items on sale at each store are different. If you’re on the west coast visit our Los Angeles stores. Ends soon, come on down! 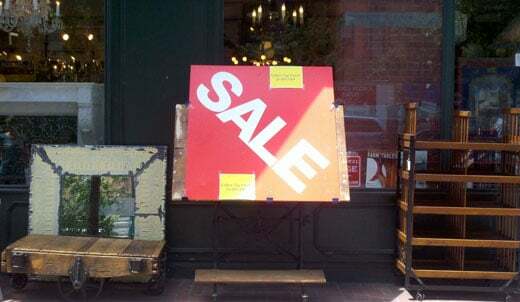 The yellow tag sale applies to store purchases only.